So after several days of rock climbing and canyoning/canyoneering, it was time for a rest day and some gear repairs. 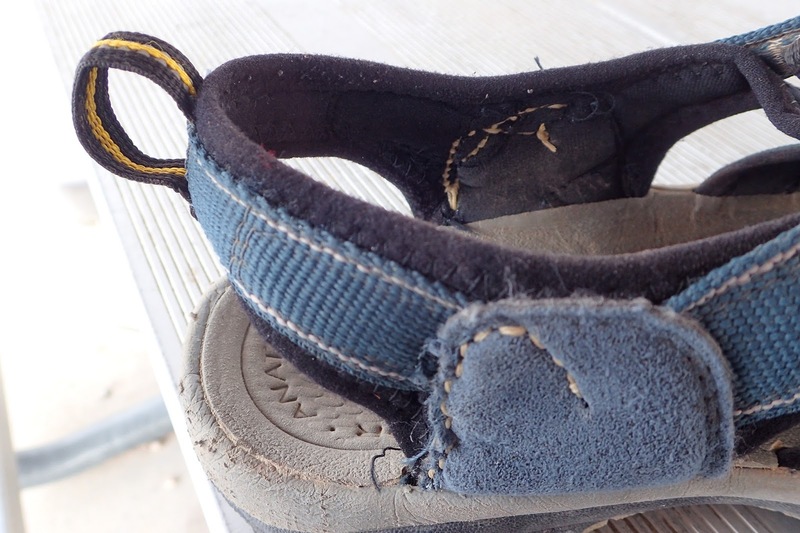 In fact both sides on both sandals was coming loose and the stressed material was already starting to tear meaning they would self destruct if I didn’t got onto it quick smart! Enter the Speedy Stitcher. I had done some repairs on my pack back home with an awl borrowed from Dad, so I had a good idea that it was the tool I needed. It was actually Dylan who let me borrow his awl this time, it worked so well, that on my next visit to REI, I picked up one for myself. 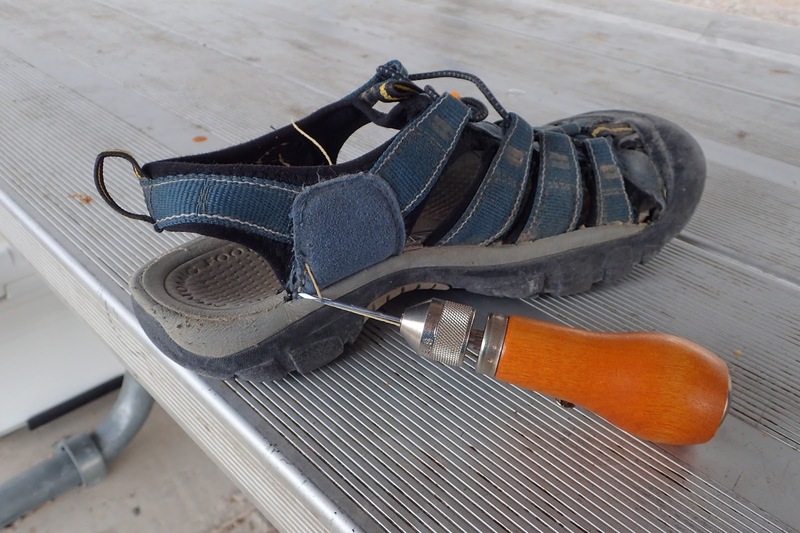 To repair your outdoor gear, this tool works really well and is truly speedy! It comes with wax coated nylon thread. I think you could substitute this with dental floss if you ran out. I have also used fishing line in the past. 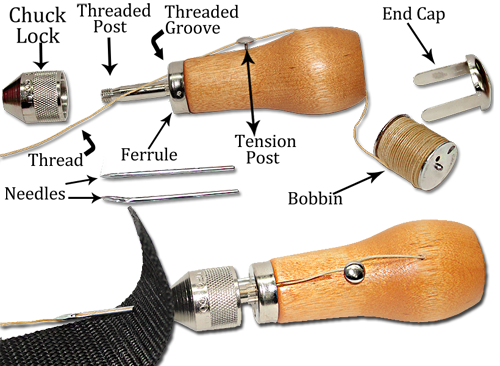 After selecting a needle, threading it and locking it in place with the chuck you draw out the thread that you need for the job at hand. 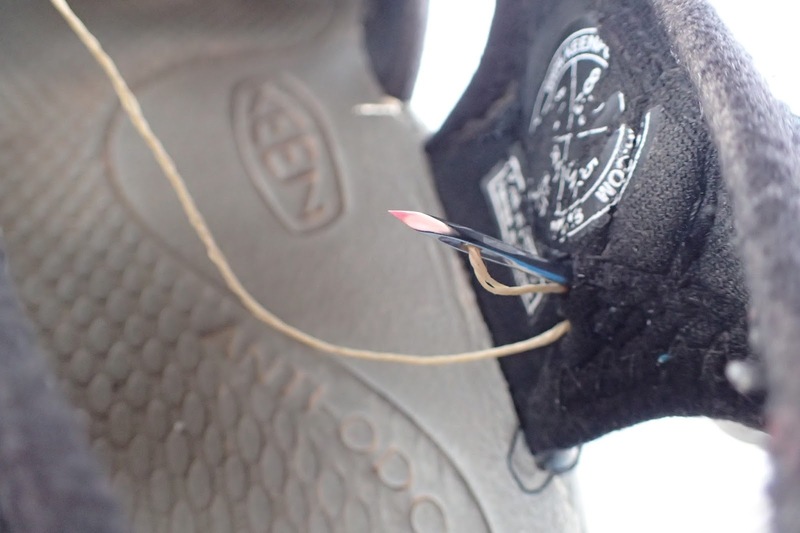 Stabbing the needle through the layers on my Keens was easy (i.e. sharp, be careful!). You then pull the thread all the way through and retract the needle. Next you, basically act as a slow sewing machine, pushing the needle through, drawing it back a little to create some slack and then passing the end of the string through the formed loop. Repeat this for the length of your job. 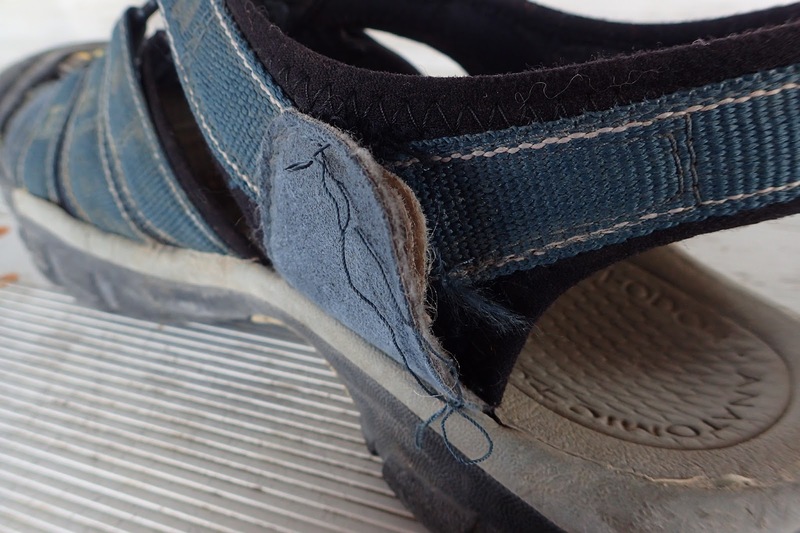 I haven’t had any problems with my sandals since repairing them. The awl is also great for any pack repairs or shortening any of those annoying pack straps that are way too long – maybe not a problem for taller people. Anyway, I hope this helps some people with an idea for a great tool to repair your outdoor gear.